Casual wear or you can also wear tactical long pant. Stick if it is possible. On Komodo island, you will find some Warung, provide soft drinks, snacks, waters, and local foods. There is no ATM on the island, so that is why you are recommended to bring some cash. You can have lunch on some local warung on your day tour to Komodo island from Labuan Bajo. As one of the main tourist destination in Indonesia, Komodo National Park is under the control of the central government. So, in general, all the objects are under responsible of Central Government. And they are leading by the regional tourism department of Government in East Nusa Tenggara. 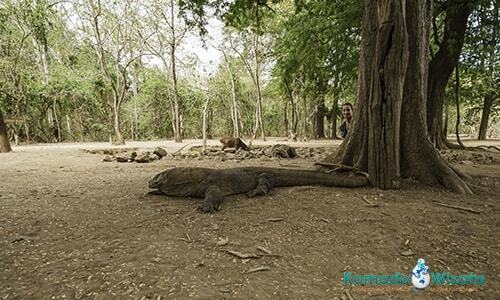 The easiest way to book your trip to Komodo National Park is through a reputable online booking agency. Check out for a great and recommended tour packages to Komodo National Park online with us. We are the only great online booking agency, trusted for a great Komodo island tour from Labuan Bajo, Bali and Lombok. Our individually designed tour packages to Flores and Sumba island are the greatest options for travelers. Take a great tour operator to minimize your cost for a tour to Komodo from Labuan Bajo. Not all agency responsible and give a great idea of tour packages to Komodo suit to you our budget.